As Nigerians grapple to adjust to current economic realities following government’s policies and their resultant hike in cost of living, with certain food items once within reach of the masses now exclusive, Nigerians’ woes are being compounded with sharp practices by desperate rice sellers who prefer undeserved gain at the expense of others. This is as the nefarious acts of rice rebranding and re-bagging are currently the order of the day in Daleko, a popular rice market in Mushin Local Government Area of Lagos State. 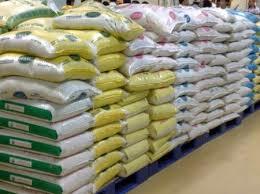 Our correspondent, who worked on a tip-off that some traders in the market were again repackaging low quality rice in bags of high quality brands, reports that the dealers are consequently short-changing unsuspecting Nigerian buyers by selling to them low quality rice rebranded as high quality ones. While the criminal activities still take place in broad daylight in Daleko market, further investigation, however, revealed that much of the rebranding and re-bagging activities happen late night when ‘unfamiliar’ faces would have left the market. When he was interrogated on the activities in the market, an elderly male rice seller in Daleko market who gave his name as Tajudeen, unaware that our correspondent was working undercover, said the leadership of the market routinely levied traders involved in the acts in order to make money available for police officers and others who usually come around to take ‘their share’ of the illegal profits. But the Daleko market rice sellers ‘technically’ refuted the allegations, while admitting that there were cases of some greedy rice sellers who engaged in the criminality in the past. A l h a j a A k i n s e t e , v i c e president of the market, told BDSUNDAY that the leadership of the market quickly rose to nib the trend in the bud before the market would be given a bad name in the ears of its customers. “They have all been warned of such illegality. If anyone is caught short-changing customers by exchanging one product for another, he or she would be handed over to the police for prosecution,” she said. “Apart from the leadership of the market going round to inspect the activities of the traders, they have also employed the services of the O’odua People’s Congress (OPC) to fish out the perpetrators,” she added. Alhaja Amori, market ambassador, argued that what s ome c onc erne d Nigerians must have seen in the market recently and concluded that it was rice rebranding and repackaging must have been soaked rice poured out to dry in the sun. “You know this is rainy season. Sometimes the rice would got wet before it gets to the market no matter how well it was covered. In such a situation, you have to spread it out to dry, otherwise it will get spoilt in the shop and the same customers will complain that bad rice was sold to them,” Amori said. “So, by the time the rice is dried and you are putting it back in its bag, suspecting customers might mistake it for something else. Any customer with a proof of such crime should be free to report the number of the shop to the leadership of the market for decisive action. Some have been sent out of the market in the past for engaging in acts capable of bringing the market to disrepute,” she told BDSUNDAY. But findings and experiences of several Nigerians show that the leadership of the market may have been economical with the truth. Osita Aniemeka, Abia Statebased pioneer director, Centre for Learning Communities (CLC) and member, Social Enterprise Association (SEA), told BDSUNDAY in a telephone interview that the criminal activity has increased in recent times in the country, calling on the appropriate authorities to stop the act he referred as ‘economic sabotage’. “The first time I saw what you are talking about in Daleko, I was shocked because it was happening in daytime. As the traders poured low quality rice into Stallion Rice bag, there was no fear whatsoever in them. I had just returned to Nigeria at the time; that was nearly two years ago. If Nigeria is not a corrupt country you will not be talking about the same issue now. I actually assume the issue would have been dealt with since,” he said. BDSUNDAY also reliably gathered that unethical re-bagging and rebranding of rice is not only associated with Daleko and other Nigerian open rice markets. Big companies in the industry who are major rice importers also engage in the unethical activities with the aid of officials of government’s monitoring agencies. Highly placed sources in the industry who confided in BDSUNDAY say big rice players in the country (names withheld for legal reasons) are also involved in the nefarious acts mainly for profit maximization, since the FG stopped the waiver for rice importation. “Big rice companies in the country are also taking advantage of improved quality of some Nigerian-made rice. They know the ones that can compete with some imported rice. Since they already have the name, they now work with local farmers since Nigerians love to buy foreign brands. It is part of a new market strategy and I think in the end, it will work for the good of the Nigerian economy. But Nigerians must quickly realize that the earlier they start appreciating and patronizing local products, the better for the country,” one source said. Investigation also shows that these days most Nigerians are no longer able to differentiate between local and foreign rice due to improvement in the quality of Nigerian rice. In many cases, what most Nigerians, including the elite, call ‘foreign rice’ is actually local rice re-bagged as foreign brands. A media consultant who did not want his name in print because of his current position narrated to BDSUNDAY how he was fooled into believing that he had eaten foreign rice until his wife detected that it was not so. “Mama Gold is usually the rice we eat in our home. I am actually addicted to it because of its coolness in the mouth. On that fateful day, I had finished eating and was listening to news on television when my wife suddenly emerged from the storehouse to explain the difference to me. While we Gains, pains as rice rebranding, re-bagging continue in Lagos’ Daleko market were eating, she had argued that there was something about the rice,” the media consultant said. “Frankly speaking, I actually did not see much difference between both. That tells me that the quality of local rice has greatly improved,” he said. When asked to suggest ways government could urgently tackle the problem, he said the current regime’s policy of not granting waivers for rice importation should be sustained, saying that with the policy, it was only a matter of time before those selling Nigerian rice in foreign bags would come out of hiding to identify with locally-made rice. Toyin Yisau, a Lagos-based economist, argued that those involved in the acts are not all doing so for negative reasons but that among them, there were those who simply are pissed off with Nigerian buyers who will not buy anything unless it is branded foreign. “There are several angles to the questions you are asking. Some of the rice sellers re-bag and rebrand in order to remain in business since many Nigerians would not readily patronize a product if it is made in Nigeria. We just crave anything foreign. If particular local rice can match up with particular foreign rice, chances are that the Nigerian seller may for business reasons put the local product into the bag of foreign product. It all depends on the motive of the seller and the side the buyer wants to view the issue from,” she told BDDUNDAY. She explained that on a second thought, for Nigerian rice eaters to consume locally-made rice without realizing it goes to show improvement in quality and requests that the FG take the necessary steps to ensure that foreign brands do not continue to take credit for Nigerian brands for whatever reason. When BDSUNDAY attempted to reach the Lagos Police Command’s spokesperson on the issue, phone numbers of the Command posted on the Force Headquarters website were switched off. As at the time of filing in this report, there was as yet no reply to text messages sent to the numbers asking about the Command’s efforts at combing the market. Director general of Standards Organisation of Nigeria (SON) was said not to be on seat when BDSUNDAY visited the Lekki Phase 1 office of the organisation. But a senior staff of SON who craved anonymity because he was not in the position to speak to the press said the agency has since beamed its searchlight on the Daleko market following similar reports. According to him, efforts are currently being synchronized in order to adequately monitor the activities of the rice sellers so as to bring the perpetrators to book.